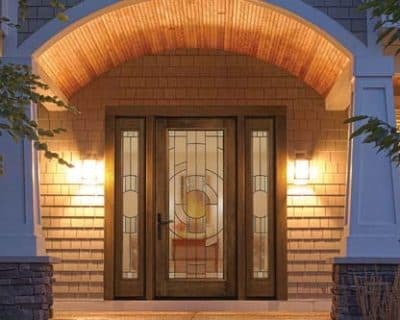 Our sliding glass doors offer the same quality, beauty and durability found in our entry doors. All Window Design Group sliding patio doors are backed by our full-system lifetime warranties. Browse our patio door options below to find the patio door that’s right for you. The Window Design Group Sliding Glass Doors extend your home’s ambience to the great outdoors, visually expanding and brightening any room. And the expanded glass area means added light– so every season is more enjoyable. With our premium vinyl construction, heavy-duty mainframe and sash, multi-chambered extrusions and steel-reinforced interlocking meeting rails combine for superior strength and structural integrity. Easy-gliding door action is assured with a strong tandem brass roller system, while the rugged screen features four adjustable rollers for reliable operation year-after-year. With The Window Design Group Patio Doors, you’ll spend more time enjoying the view and less time on maintenance. These sliding patio doors never need painting – and cleaning is simple.